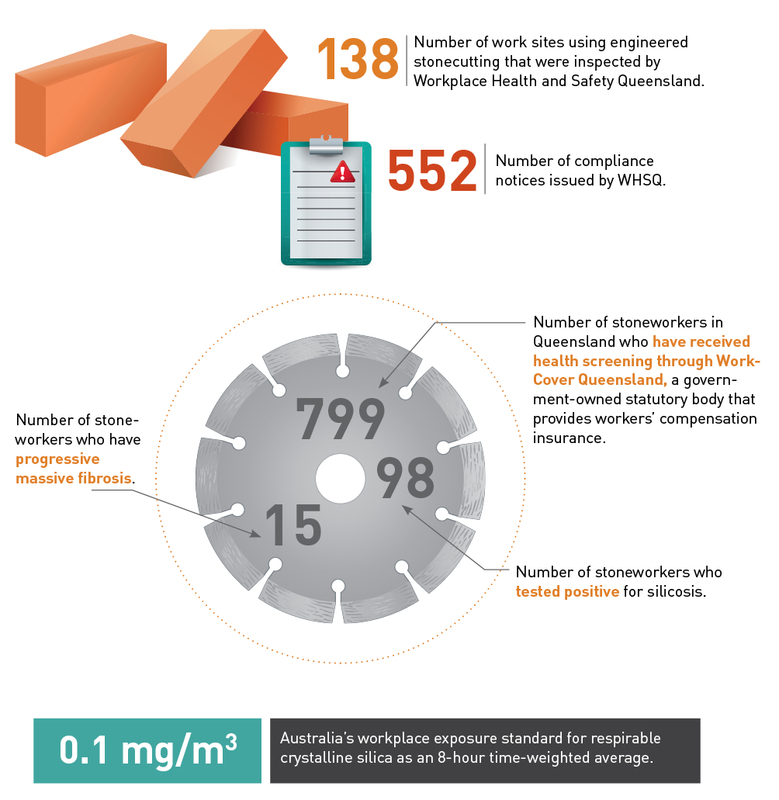 In February, the Australian news agency ABC published information about silicosis among stoneworkers from an audit of the manufacturing stone industry in the state of Queensland. 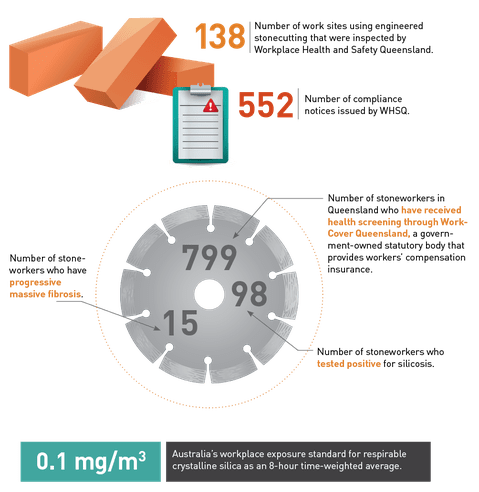 The audit was ordered by the Queensland government in 2018 following reports of six cases of terminal silicosis among stonemasons over a three-week period. Inspectors found violations including inappropriate workplace cleaning practices, dry-cutting of engineered stone, and inadequate protective equipment. Information about the audit from several sources appears below. Tap on the graphic to open a larger version in your browser. In August, The Knoxville News Sentinel reported that a student intern and a researcher at Oak Ridge Associated Universities had devised an experiment to replicate the McCluskey incident in order to study the effects of radiation on the body. By irradiating vials of their own blood for different lengths of time, the researchers hope to generate data that clinicians and first responders can refer to following an exposure incident. Read more from the News Sentinel.